Landscape lighting in San Jose doesn’t have to be a complicated and extensive lighting project. There are certain projects you can do on your own, or you can trust your lighting company experts for your outdoor lights . 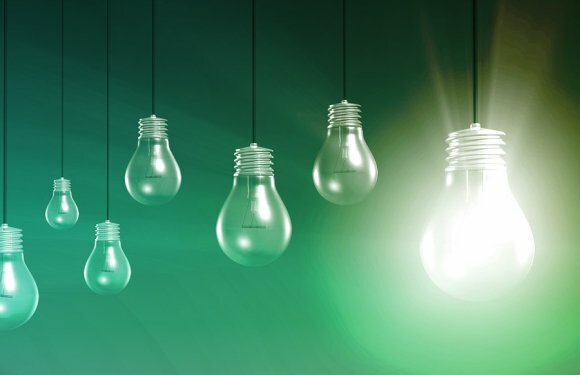 The great thing about lighting is the ability to find low-cost and low-energy lighting options. LEDS and solar-powered fixtures are becoming a big hit in recent years, and you won’t go wrong with these light options. The other great thing about landscape lighting are the hundreds of options you can install. If you simply wish to brighten a pathway, or highlight your favorite tree, there are plenty of lighting options. 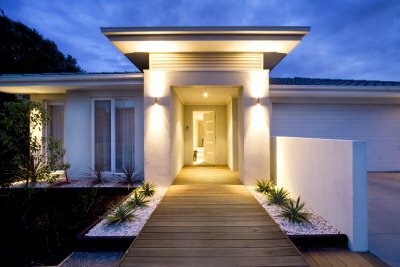 Even lighting your outside house walls has become a popular investment. No matter your lighting desire, call your lighting company for helpful suggestions. During a remodel, landscaping, or custom home building, you should look for a company that specializes in lighting in San Jose. You want a company that has a sole focus of quality lighting products and the best ways to install them. Lighting companies specialize in making your rooms and yards look even more amazing with the right kind of lighting. The right lighting company should be local, and it should have several years, if not decades, worth of experience. This experience will be vital to helping you decide the best type of product and the best placement of it. Your lighting company will have a variety of products, from functional, accent, and energy-efficient options. The right company will be able to answer every lighting question you may have with friendly and knowledgeable service. Also, don’t forget to look for an affordable company with competitive prices, and the understanding that most customers come with a budget. You should never feel pressured to buy something out of your budget, and your lighting company will put any fears about money you may have to rest. You may not think your bathroom lighting in San Jose should be important, but it’s what is going to light up your entire area for everyone to see. 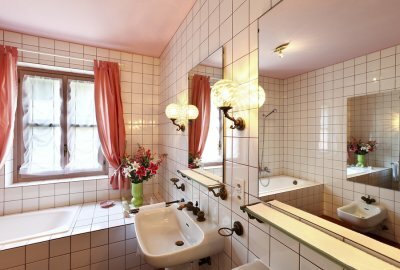 Guests will remember your bathroom colors, knickknacks, and theme because they were lit up with beautiful bathroom lights. Choosing your bathroom light fixtures may depend on the size of your bathroom, but there are a few different ideas that may work for just about every bathroom size. The most common lighting you will find in the bathroom will probably be over or around the mirror. This is where most people spend the majority of their time in the bathroom; checking their appearance and looking at the mirror as they brush their teeth. You can still give your bathroom some flair with attractive sconces, colored lights, or etchings in the fixtures holding up the lights. Keep in mind that this type of functional lighting will typically be the brightest and most noticeable lighting in your bathroom. Be sure it is something you and your family can live with for a long time. Depending on the size of your bathroom, as well as the wall or tiling design, you can install ambient lighting throughout the bathroom. This might be in the form of recessed lighting located in your shower or bathtub to show off the specific design or color tile you had installed there. Ambient lighting can be whatever color and wherever you would like; just don’t expect to use it often for tasks, like you would with the overhead lighting around the mirror. Accents, in design, color, or lighting, tend to give a bathroom character. They stand out and make a guest remember the details of the room they were just in. Your accented lighting may include colored bulbs, frosted glass in your shower door, or even a small chandelier above your garden tub. No matter your desire, there is the perfect accent lighting out there for everyone. There are so many options for outdoor lighting, from LEDs to landscape lighting in San Jose. Depending on your need, your outdoor lights can become an essential part of the time you spend outside with your family and your guests. Whether you are throwing a party, showing off your beautiful landscape, or you simply want a relaxing night outside with your family, there is a lighting option for you. If you have a big backyard and patio, and you like to have people over, then investing in bright outdoor lights will be a great idea. Your guests can enjoy the party well into the night, and your patio can be shown off in all its glory. If you have poolside light, or even lights in your pool, then your family and any party guests can take a swim any time of the night with ease. When you have put a lot of work into your landscape, you want it shown off all the time, day or night. These landscaping lights can be installed almost anywhere you have a feature to highlight. Lights can be hung in trees or at the base of their trunks. Outdoor lighting can be installed across your beautiful pathway, or even strategically placed in the ground or behind bushes so no one can see the light’s source. It is your design, and your decision; consult your lighting company on the best way to make your vision come true. With all of these extra lights around your home, you may notice your energy bill starts creeping up. When you utilize LEDs throughout your lighting fixtures, you can keep your energy bills much lower, and you are helping the environment. LEDs have to be changed infrequently, as in every few years or more, thus limiting the amount of times you have to change light bulbs and add to the growing trash problem. The lighting that you use in your home is obviously very important. In addition to providing light so that you can see, the light fixtures that you install will ultimately improve the look and feel of every single space in your home. By choosing the right home lighting in San Jose, you can make your home comfortable and bring out the best in the different elements that make your house special. Check out these tips for choosing the right lighting fixtures for your home. Place at least one source of ambient lighting into every room. When you walk into a room in your home, it should feature at least one table lamp, chandelier, or other source of ambient lighting. Your ambient lighting should provide enough light to keep people safe when they move throughout a room. If you find that you are tripping over a coffee table every time you step into your living room, you should rethink the ambient lighting that you are using. Whether you install recessed lighting or a large ceiling fan with a light, you can improve your ambient lighting easily . Provide task lighting in rooms that call for you to perform certain tasks. Do you like to spend time reading in your den or cooking in your kitchen? If so, you should think about adding lights designed to help you complete those tasks. Unlike ambient lighting, task lighting won’t light up an entire room, but it will give you more than enough light in one specific part of the room so that you can complete whatever task you’re working on. Use accent lighting to put a spotlight on the decorative features in your home. Accent lighting like track lighting and pendant lighting can be used to shine a light on your home’s decorative features. If you have a painting hanging on a wall in your foyer that you love or new granite countertops in your kitchen that you want to highlight, you should install accent lighting to help draw attention to them. It will create focal points for your guests when they enter your home.